Most contaminated solvents can be restored to their original condition and reused repeatedly. The reclaiming and reconditioning of used and contaminated solvents yield economic and ecological savings by reducing the total amount of solvents used, down time to replace solvents, and waste disposal. The cost of this process is low with Gardner-Hilmor equipment. 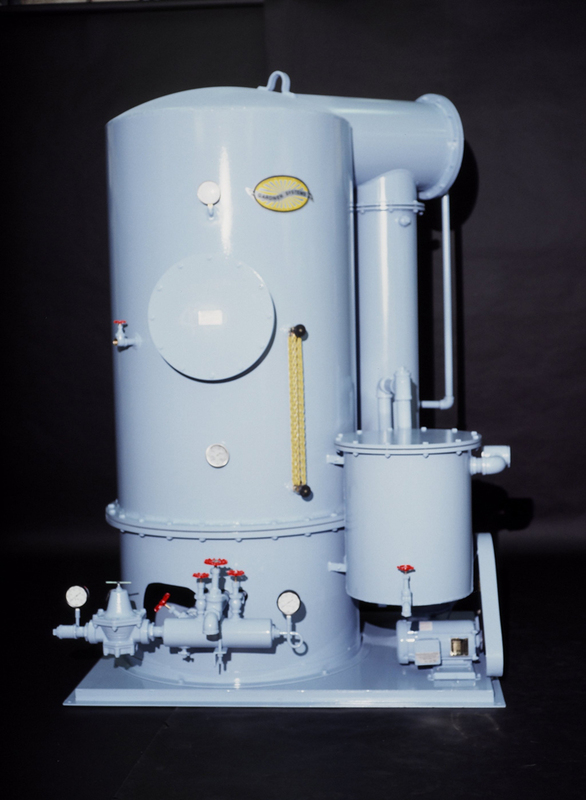 Additional steam and water economies result from the efficient heat exchanger’s utilizing otherwise waste heat in solvent vapor for preheating dirty incoming solvent. 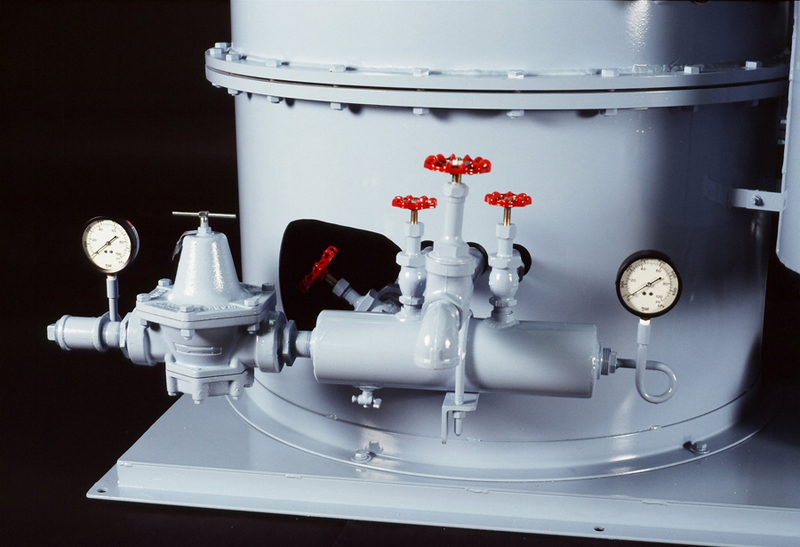 All stills are equipped with automatic solvent regulator, steam pressure regulating valve, solvent level indicator, steam pressure and vacuum gauges, condensate trap, moisture separator, solvent inlet strainer, sight flows, and all necessary control and operating valves. 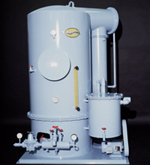 Our vacuum stills are available in 100, 200, 300, and 500 GPH capacities. By installing a Gardner Solvent Cooler it is possible to avoid the hot solvent problems of wrinkling, shrinking, spotting, color loss, and slower finishing. Reclamation is beneficial to the ecology. Economy results from reducing water usage: our Solvent Coolers cut water use by as much as 65% to 75%. Units are equipped with ½” cool water inlets and 2” solvent inlets. Gardner Solvent Coolers have 3-pass water flow and baffled serpentine solvent flow. 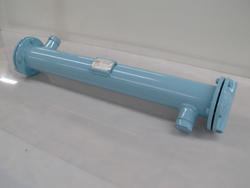 The units are efficient, and can be cleaned and re-tubed. Gardner Solvent Coolers are available in 3 capacities: 2,000, 3,000, and 5,000 GPH. Gardner Solvent Coolers can be used in other heat exchange applications.